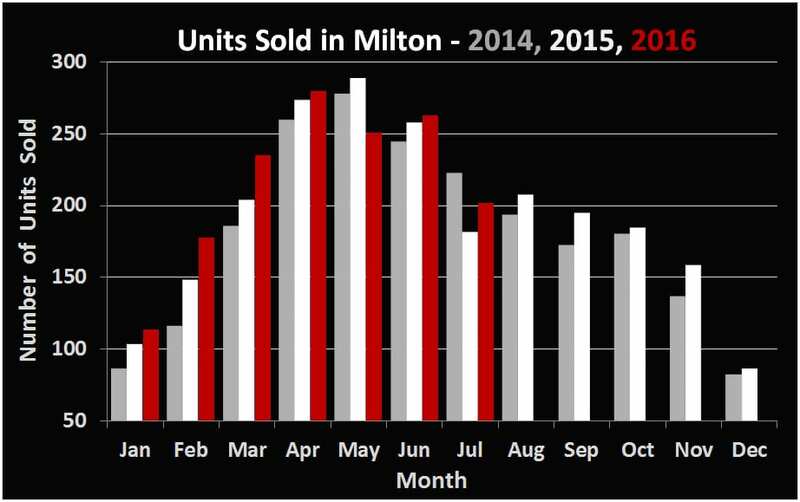 The 202 Milton residential sales in July 2016 represent a modest 3.1% increase when compared to the volume recorded in July of 2015. The average sale price however is up a staggering 19.1%, over $100,000, when compared to the figures from the same period a year ago. While inventory and sales volume is starting to become a bit more regular for the time of the year, the number of buyers has not declined. Many properties, even in the higher price ranges, are still receiving upwards of 5 or 10 offers. At the beginning of the year, we predicted that the markets would temporarily plateau during the summer, but with the recent regulation of foreign buyers in Vancouver that appears to have been incorrect. Last month legislation was introduced that would tax foreign home buyers 15% when purchasing in the metro Vancouver area. Currently there are no plans to introduce such legislation in the GTA. 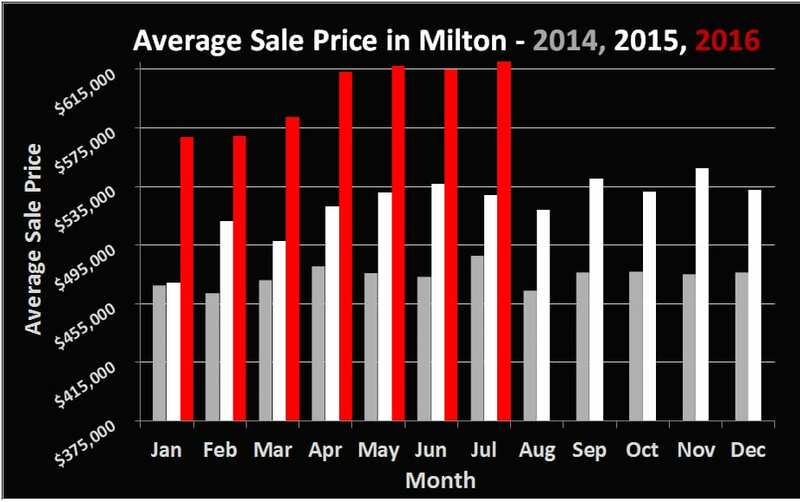 In addition to this, several other factors are contributing to the continued buying frenzy here in Milton. Among them are continued record low interest rates with no signs of going up, as well as Brits and Americans showing interest in coming over due to upcoming political conditions in their respective countries. We no longer anticipate any slowing down of this growth in the foreseeable future. If you’d like our opinion on how these situations might affect you as a buyer or seller, or if you’d like to chat about anything Real Estate related, we’re never too busy.